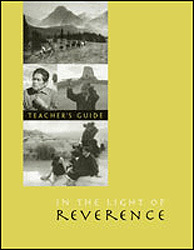 Check out our 136-page Teacher’s Guide with extensive lessons for each of our eight cultures in the Altai Republic of Russia, California, Papua New Guinea, Canada, Peru, Ethiopia, Australia and Hawai‘i. 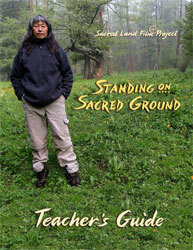 Our award-winning 2001 film comes with a beautiful 46-page Teacher’s Guide containing lessons on the Lakota at Devils Tower in Wyoming, the Hopi in Arizona and the Winnemem Wintu in northern California. 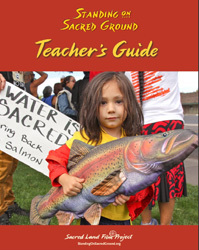 To accompany the Winnemem Wintu Run4Salmon 2017 we are streaming the 29-minute Winnemem segment from Standing on Sacred Ground and have created a special high school curriculum to go with the film segment as runners head north with the salmon. Jessica Abbe, Nichelle Garcia and Dessa Drake have created a Run4Salmon 4th grade curriculum to accompany the run.